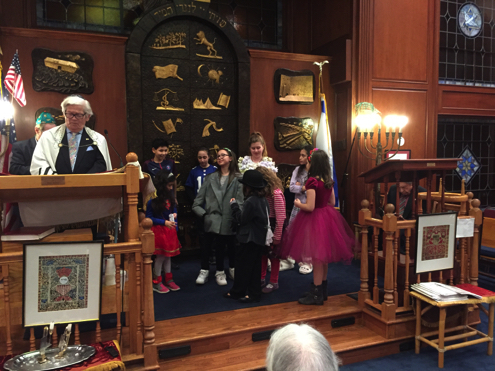 This year's Purim festivities were held in our new sanctuary, 1585 Center Avenue in Fort Lee, and were led by our rabbi, Shammai Engelmayer (not pictured because he took these photographs). 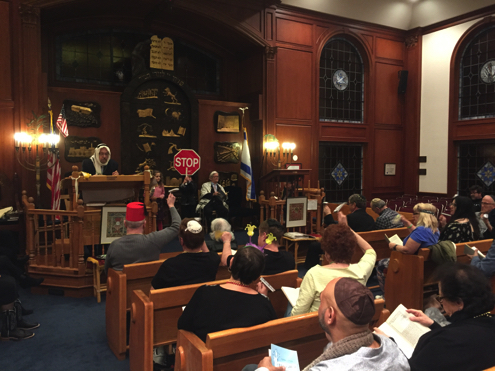 He was assisted by Rabbi Sandy Davis, who read most of M'gillat Esther (the Scroll of Esther), in his usual imimtable and comic style (that's him in the photo above). 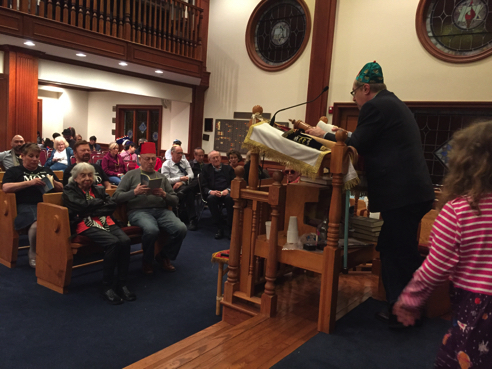 Also assisting was Rabbi Meir Berger (he is standing at the reader's stand in the photo at right below, reading the final chapter of the M'gillah), the founder and leader of what was the New Synagogue of Fort Lee. 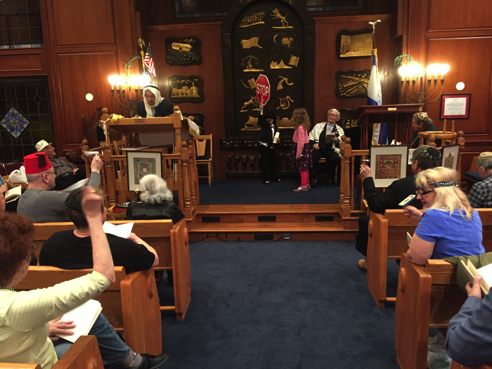 The photos above and below on the left are views from the pews. Some congregants, as can be seen, were costumed. Also seen in these photographs are Ruby and Arianna, who did their best with that STOP sign to keep the mayhem to a minimum; they had little success. The photo at the bottom right shows some of the children who came up to show off their costumes and vie for prizes.